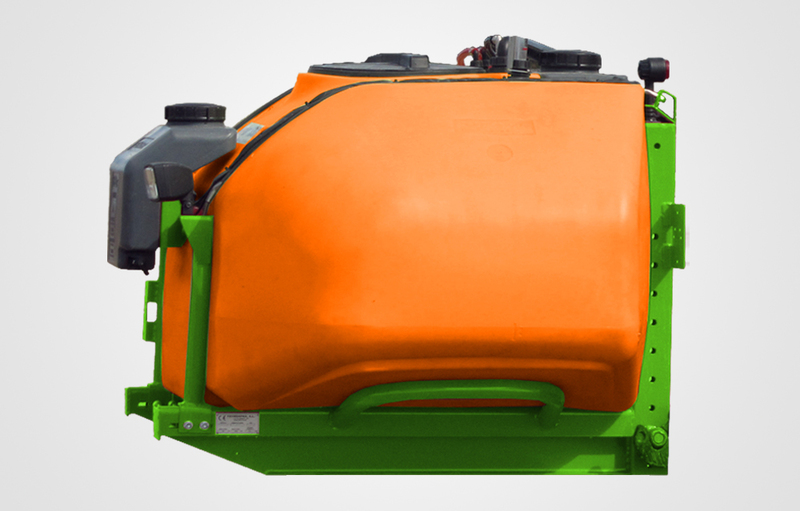 TECNOSPRA EUROPA presents the PHYSETER auxiliary front tank with 6 different capacities: 750, 1100, 1200, 1500, 1800 y 2200 l.
Multipurpose tank designed exclusively to be carried on the front of the tractor, capable of performing various tasks in any agricultural cycle. 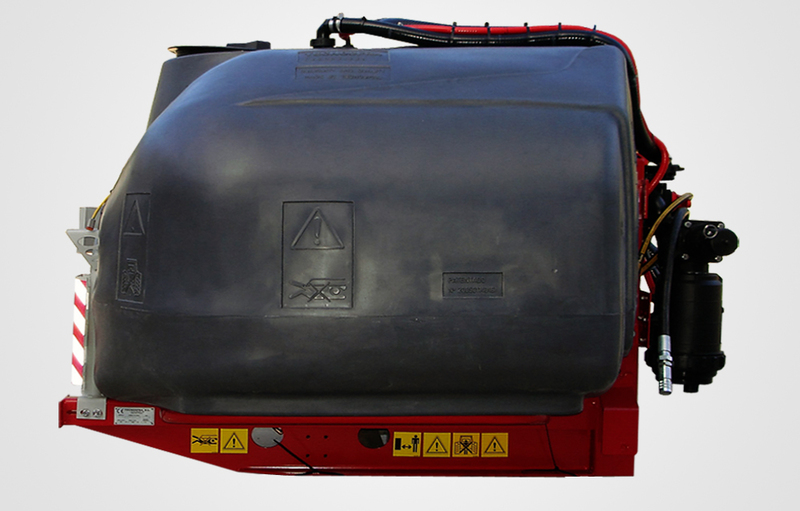 Auxiliary tank to increase the autonomy of the rear sprayer. Application of liquid initiators, contact and residual herbicides. PACKAGED UMIDER BALE system to pack in hours of maximum heat. 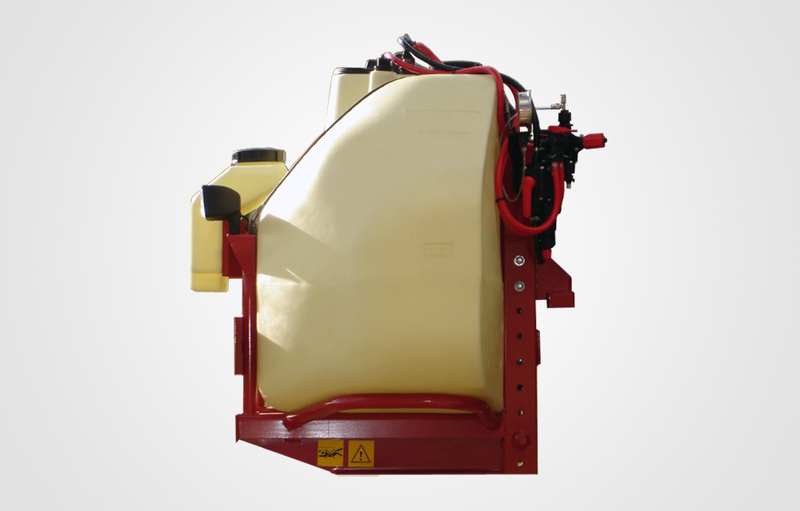 By means of a semichasis it allows the placement in tractors that do not have frontal three-point hitch. Patented 200501143 (6) and homologated for road traffic. Patented – patent no. 200501143 (6) – and homologated for road traffic. 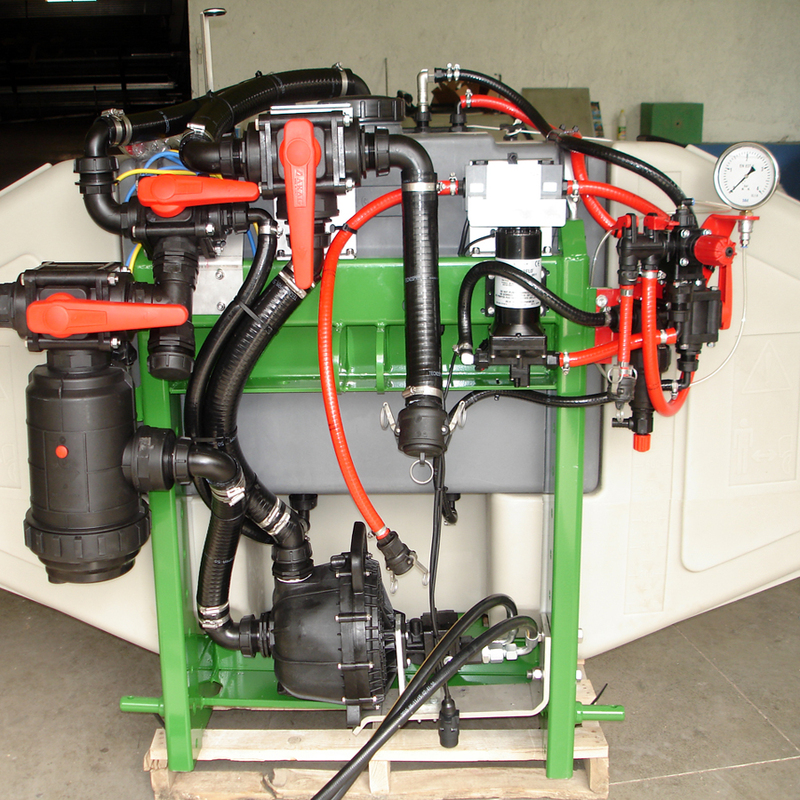 TECNOSPRA SL declares that the machine to be used in the agricultural field and destined to the application and transport of phytosanitary chemical substances for agricultural use (Article 1, § 2), identifiable for the references at the bottom of the page, is in accordance with the necessary requirements of security and health protection according to what was requested by declaration 2006/42 / CE and is in accordance with the necessary requirements according to what was requested by declarations 2009/127 / EC and 2004/108 / CE. EN ISO 4254-6, EN ISO 4254-1; EN 12761-1, -2; CEI EN 60204-1, and the following standards and the following national and international technical specifications have been consulted: ISO 11684: 1995; UNI EN ISO 3767-2: 1998. Rotomolded polyethylene tank 750 liters capacity. 125 ltrs cleaning tank housed in the total dimensions of the deposit. 900 x 2000 x 1180 mm (L W H) and 132 kg of weight. 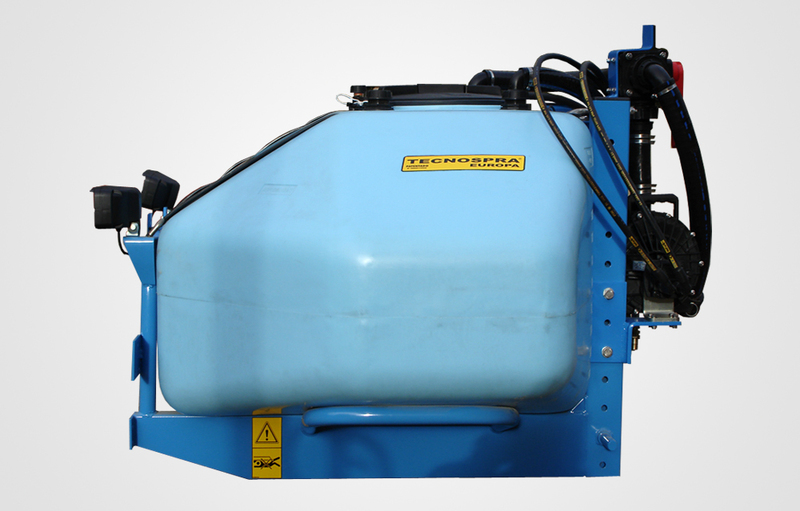 Rotomolded polyethylene tank 1100 liters capacity. 1400 x 1750 x 1000 mm (L W H) and 137 kg of weight. 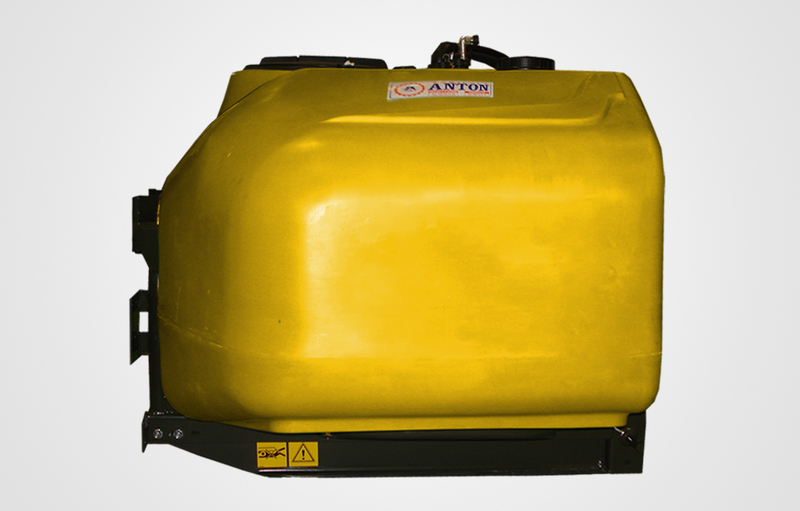 Rotomolded polyethylene tank 1180 liters capacity. 135 ltrs cleaning tank. 1400 x 1850 x 1100 mm (L W H) and 150 kg of weight. Rotomolded polyethylene tank 1500 liters capacity. 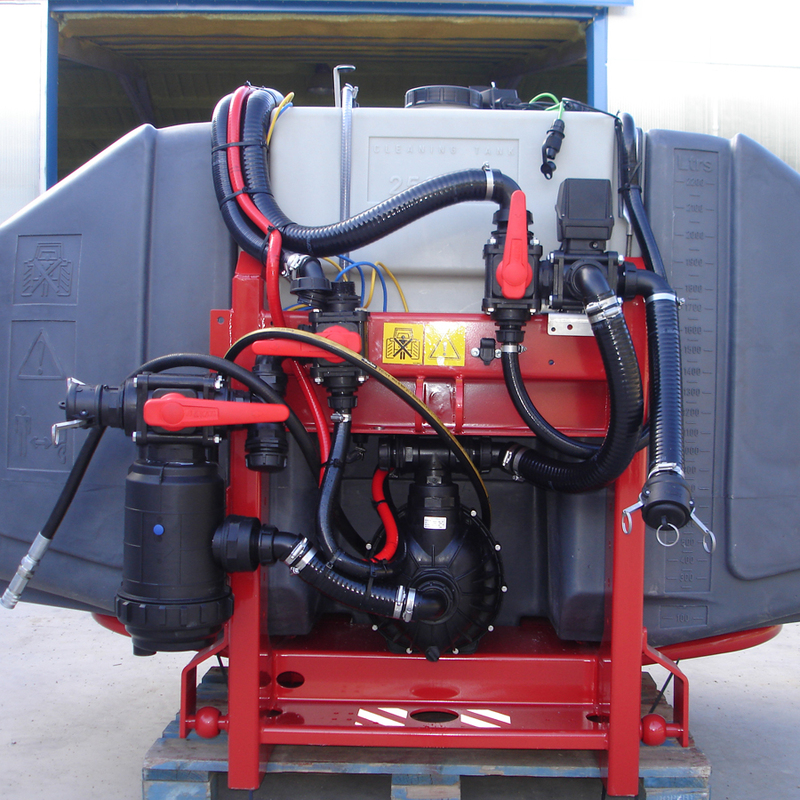 150 ltrs cleaning tank. 1400 x 1900 x 1150 mm (L W H) and 180 kg of weight. 2 Rotomolded polyethylene tanks with 750 and 1050 ltrs of capacity, to obtain a unique deposit of 1800 ltrs of capacity and a 175 ltrs cleaning tank. 1600 x 2000 x 1200 mm (L W H) and 400 kg of weight. Rotomolded polyethylene tank 2250 liters capacity. 250 ltrs cleaning tank housed in the total dimensions of the deposit. 1600 x 2200 x 1250 mm (L W H) and 395 kg of weight. Lightweight, mechanically welded chassis in Cat II structural material for frontal three-point hitch with 825 mm between balls. Epoxy paint – shot blasting, priming and epoxy painting and oven drying. Dry TECNOSPRA level indicator with methacrylate tube and level scale (ltrs). Filter net-sieve filling 300 mm deep. Stainless steel tank holding slings. and protection of nitrile rubber. Threaded cover of 455 mm and EPDM gasket screwed with screws and self-locking nut 316 stainless steel. 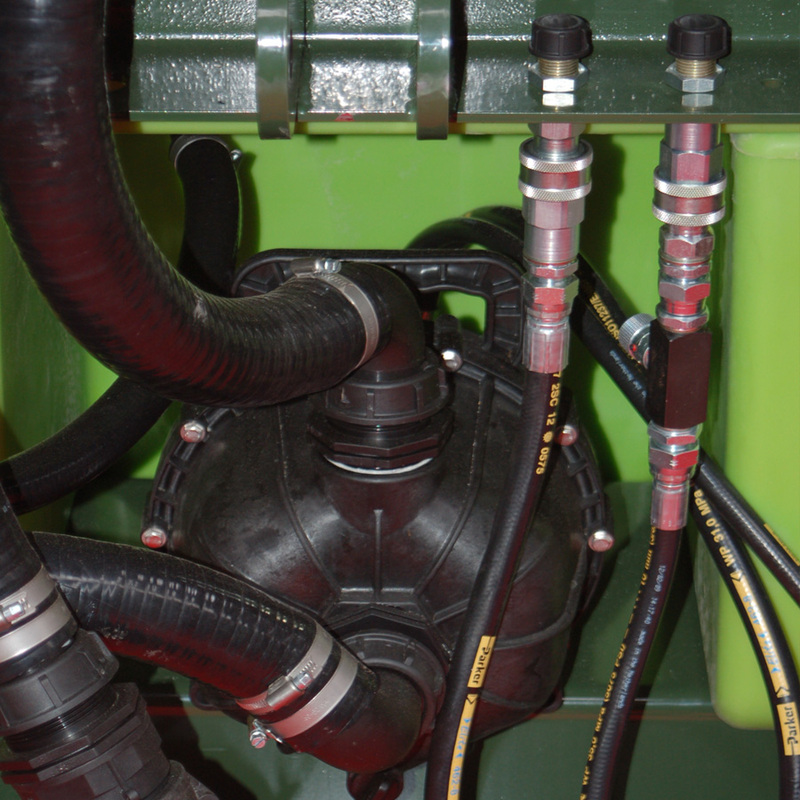 Set of hoses and couplings type camlock and joints of EPDM for its perfect operation. Certified screws, 8.8, for placement of the semichasis, and rest in stainless steel. Endless type clamps w 5 and 1 ear with inner ring in stainless steel. 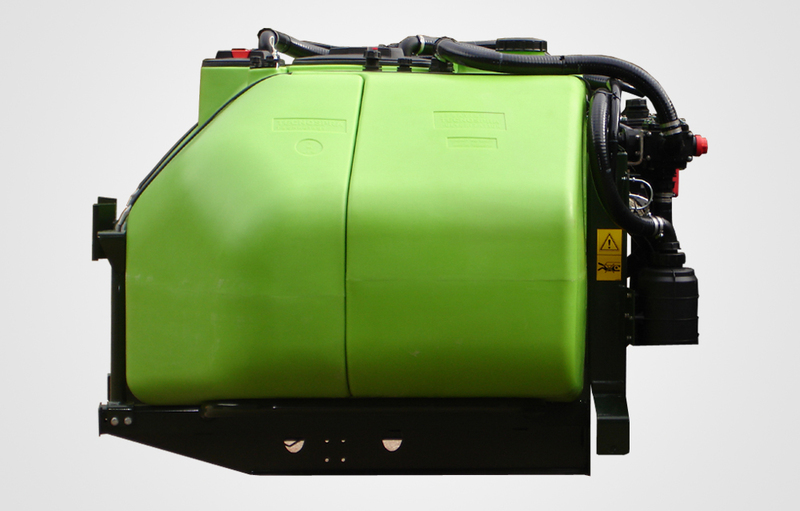 · Hypro self-priming hydraulic centrifugal pump of 750 ltrs, driven by Gerotor hydraulic motor of 40-62 ltrs minute at 180 bars, made of polypropylene with fiberglass, stainless steel and ceramic seal. · Parker hoses with 3/8 drive and ½ return. · Parker flow restrictor with safety fixation. · Check valve to prevent the opposite rotation. 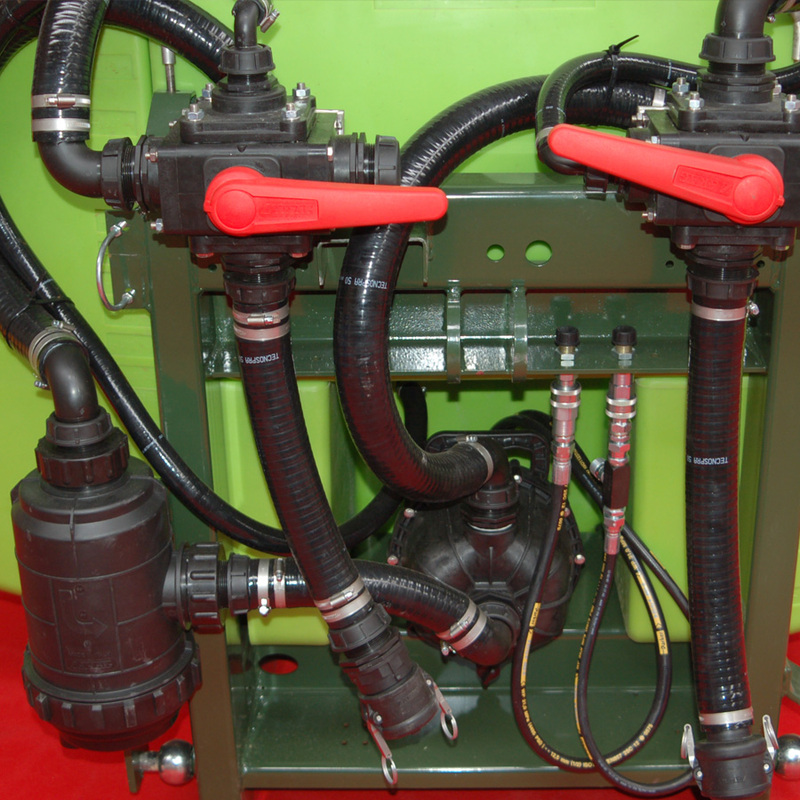 · Possibility of placement in all hydraulic systems, open circuit, closed circuit, and with compensated return. · Filter of 3 “of aspiration of 35-50 mesh of 600 ltrs. of filtration capacity. · Five-way valve with 3 “continuous flow braces and 2” outlet in suction and delivery, to perform the functions of loading, agitation and transfer. · Sealing joints of EPDM. · 50 Mm hose. with Tecnospra steel anima in both suction and impulsion circuits. 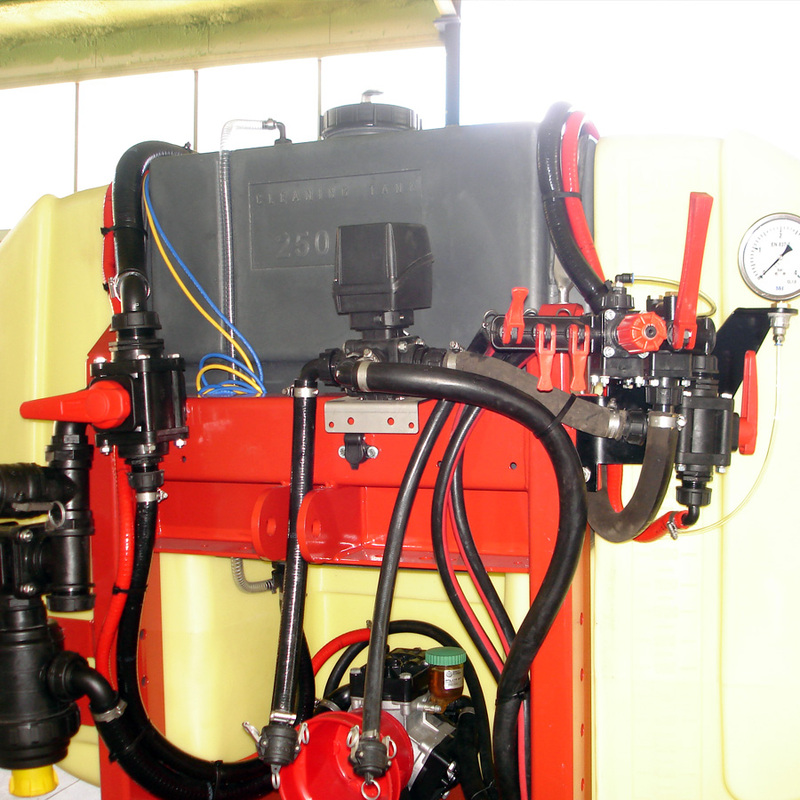 · Desmopan membrane pump driven with Danfoss hydraulic motor. · Filter of 2 “of aspiration of 35-50 mesh of 300 ltrs of filtration capacity. 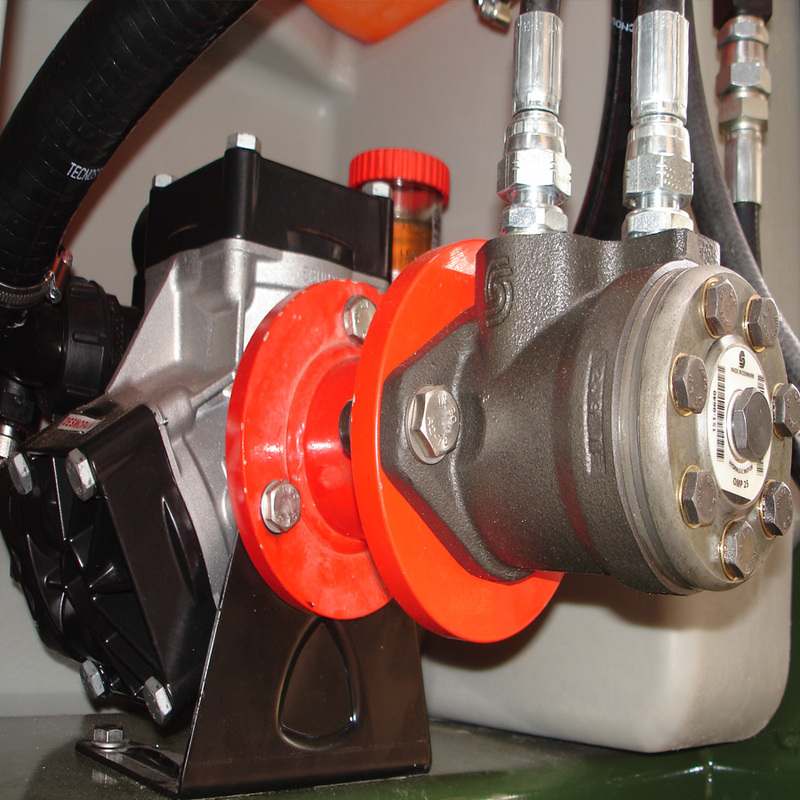 · 2-way manual distributor with proportional pressure valve. · Monitor for command lodged in the cabin. · TECNOSPRA hose of 25 mm. 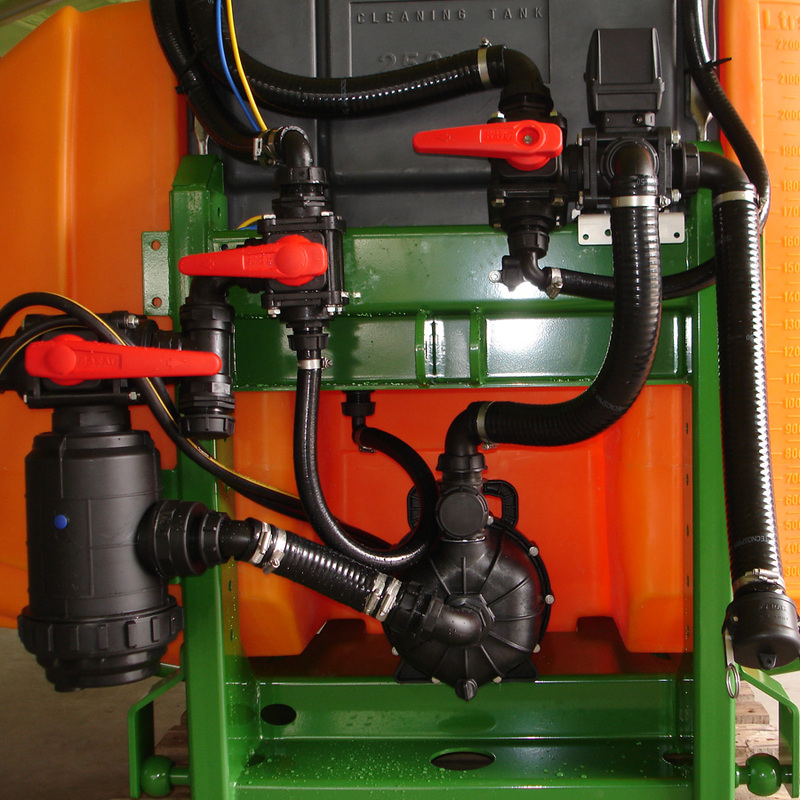 to communicate the front tank with the rear sprayer with 1″ camlock quick couplings. 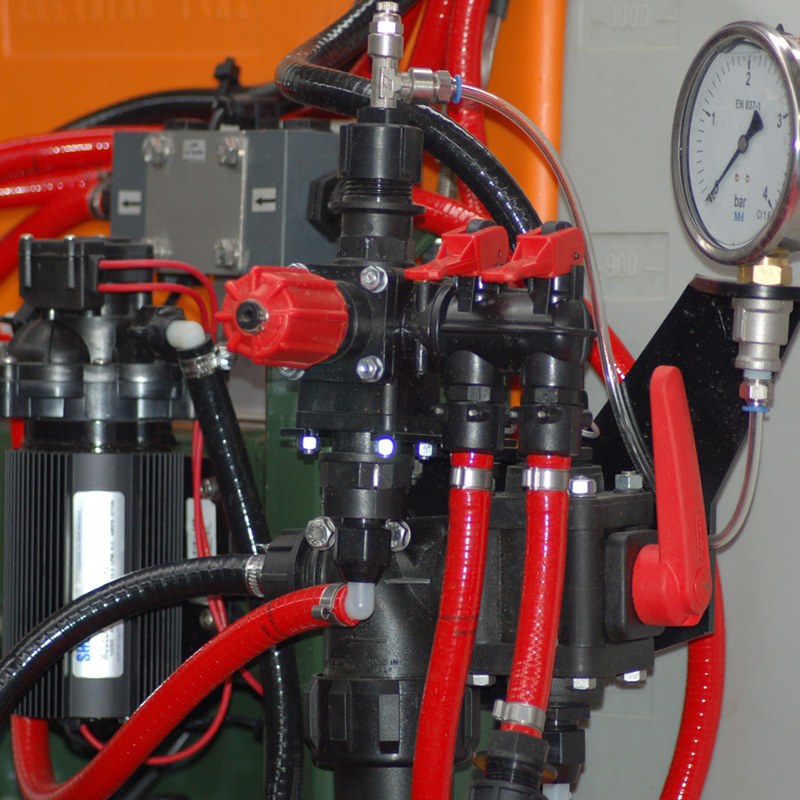 · Electric pump of constant pressure of 12 v, with capacity of 15 ltrs / m to 2.5 bars manufactured in santoprene, viton and inox. Includes heat sink, pressure switch (2.5 bars) and 90 ° safety thermostat. 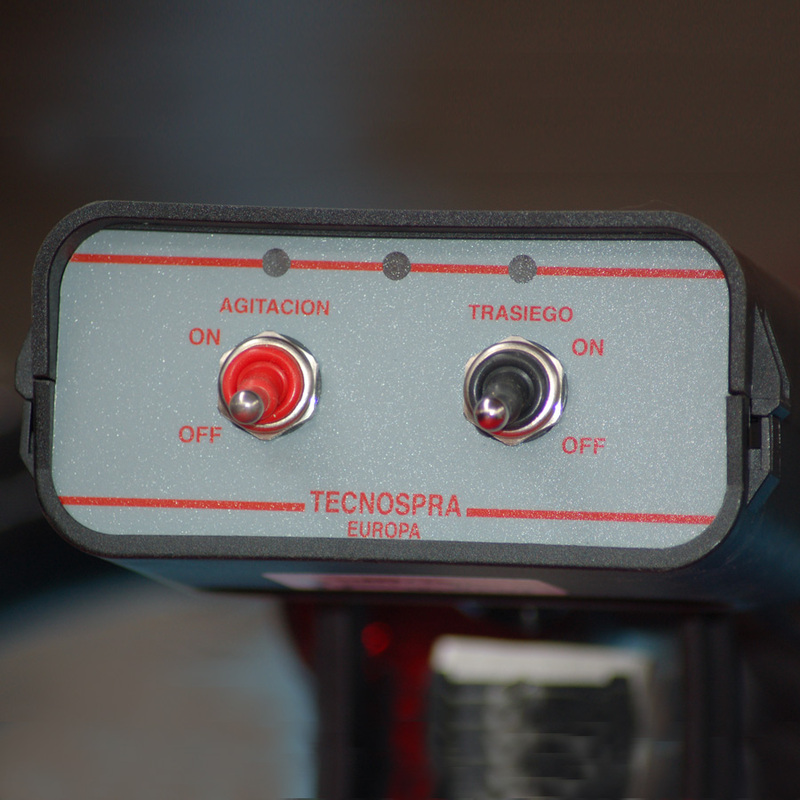 · Monitor with two functions – transfer and stirring – to command said pump, on / off switch. · Mechanical 2-way distributor with proportional pressure valve, with easy-to-read stainless steel gauge, scale 1-2.5 bar, 100 mm. · Liquid separator for protection of the manometer. · Venturi nozzle of agitation of 1-2 mm. · 1 “suction filter and three-way valve 1” braces for circuit washing and 12v pump. · High quality 13 mm hoses set, possibility to record them with personalized logo and Kamlock quick couplings for perfect operation. · Endless type flanges and one ear with inner ring in stainless steel. · Centrifugal pump of 12 v. of stainless steel 316 of 70 ltr / m with ceramic seal and viton. · Internal suction filter housed in the bottom of the tank. 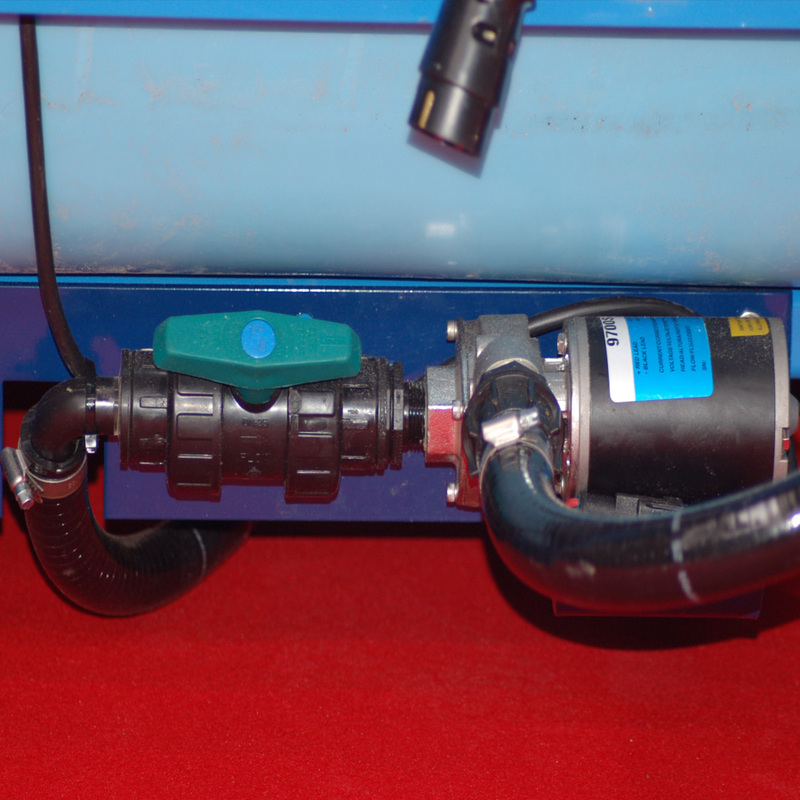 · TECNOSPRA hose of 25 mm. 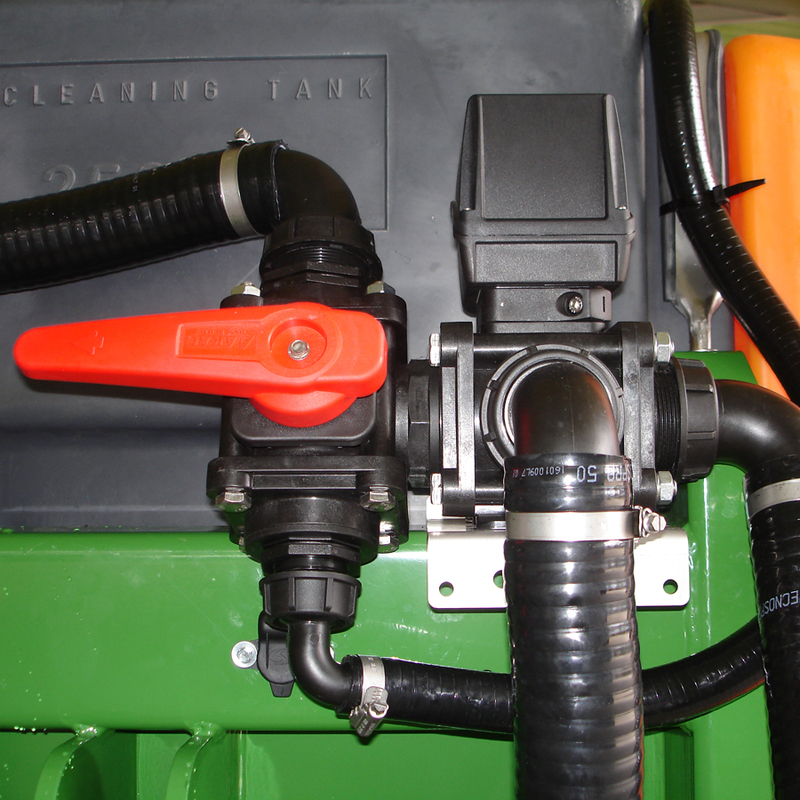 to communicate the front tank with the rear sprayer with 1 “camlock quick couplings.